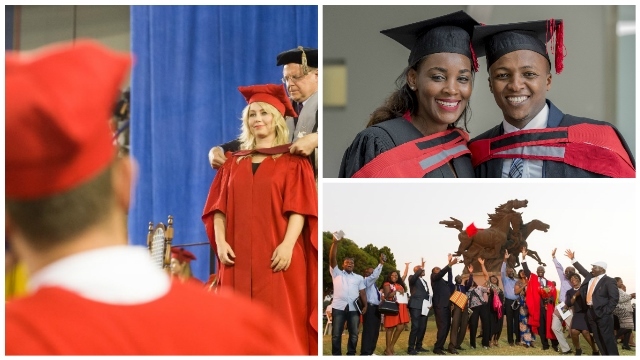 The Faculty of Law strives to be an internationally recognised leader in socially relevant legal research and education in South Africa and the world. In pursuing its vision, the Faculty’s mission is the creation and sustenance of a research and education environment that is grounded in the values of social justice and excellence. We have the necessary systems in place to ensure that you have the support to help you graduate on time. The Faculty currently ranks 76th under the top 80 universities globally, as well as best in Africa, and delivered a record number of 35 doctoral degrees and 179 master’s degrees in 2017. It currently employs 70 dedicated full-time academics, of which approximately two-thirds have doctoral degrees in various fields of law, enabling them to prepare our student community for the various law-related career opportunities. Applications for postgraduate law studies (LLM/MPhil and LLD/DPhil) now open! Seen from one perspective, the Faculty of Law consists of staff, students and the building. It is, however, also much more than that: It represents an idea, namely the idea of a society governed by the rule of law and not by individuals. Our Faculty pursues this idea by focusing on the law and on excellence in all divisions of jurisprudence. It is also pursued by focusing on jurists and by preparing our students to become leaders of their communities where they can promote the law and its principles effectively.